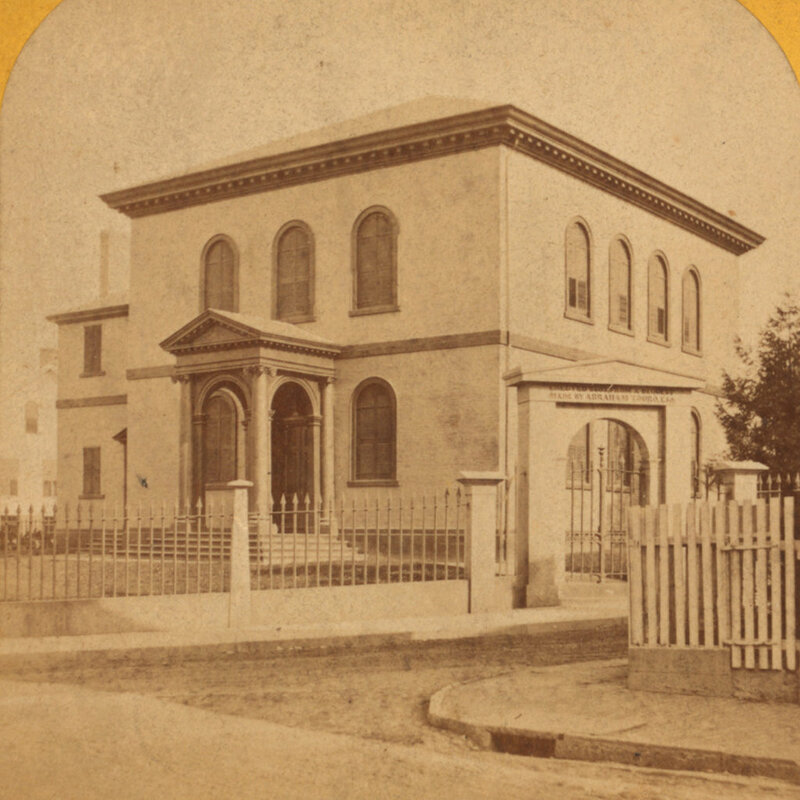 The Touro Synagogue on Touro Street in Newport, sometime between 1870 and 1890. Image courtesy of the New York Public Library. Rhode Island was established by colonists seeking religious freedom, and for many years it was a haven for a variety of religious minorities. 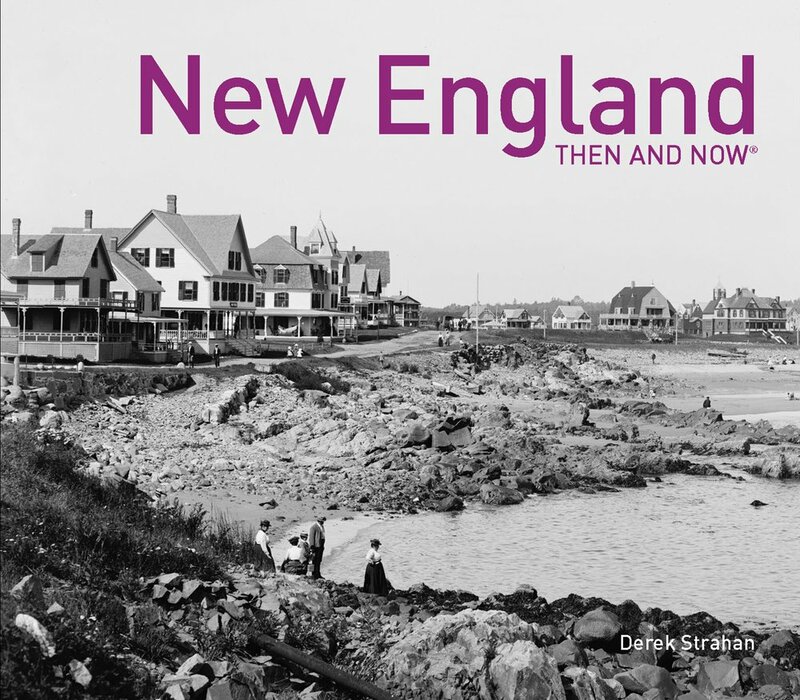 Some of the first Jewish settlers in the present-day United States arrived in Newport as early as 1658, and by the mid-18th century there was a sizable Jewish community here, drawn by both religious tolerance and business opportunities in the thriving seaport town. 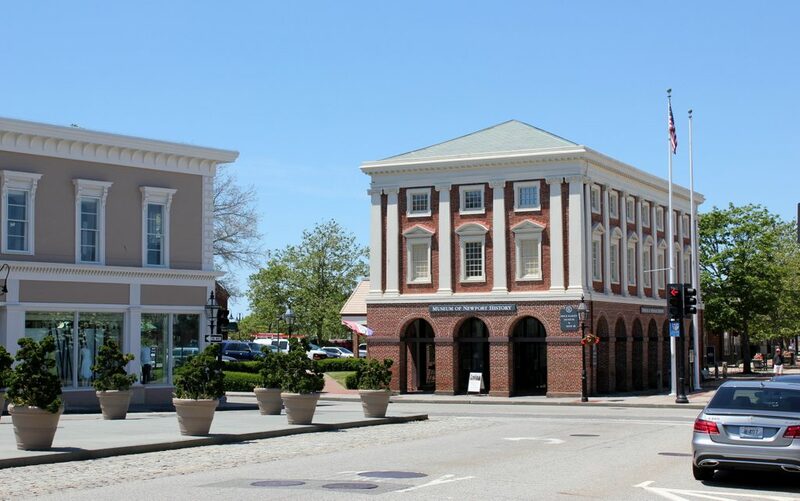 The decades prior to the American Revolution were Newport’s heyday as a commercial port, and one of the most prosperous merchants was Aaron Lopez, a Jewish immigrant from Portugal who arrived here in Newport in 1752. Together with Rabbi Isaac Touro and other leading Jews in Newport, Lopez helped to establish this synagogue, and they hired architect Peter Harrison to design the building. Considered to be the first professionally-trained architect in the American colonies, Harrison designed several other buildings in Newport, including the Redwood Library on Bellevue Avenue and the Brick Market at Washington Square, and he also designed Christ Church in Cambridge and King’s Chapel in Boston. His synagogue, though, is considered by some to have been his finest work, since it demonstrated his ability to blend classical architecture with the specific requirements of Jewish tradition. 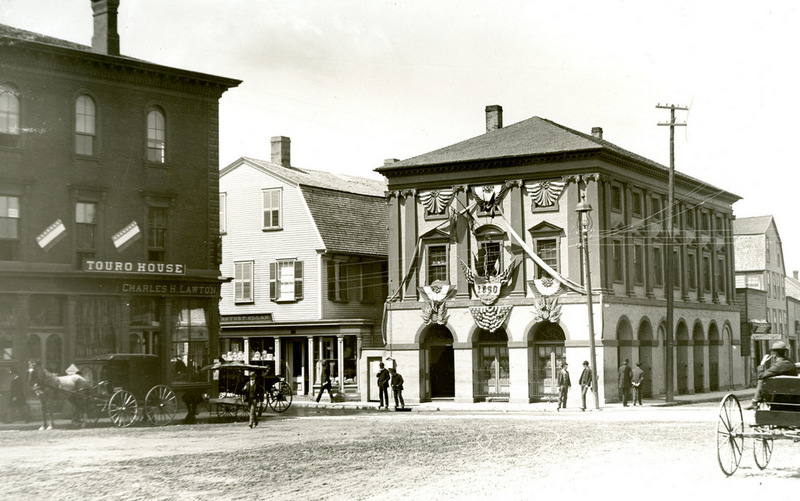 The synagogue was completed in 1763, right at the peak of Newport’s prosperity. However, the American Revolution began just over a decade later, causing a severe disruption of trade as well as a long British occupation of the town. Newport never fully recovered its prewar prosperity as a seaport, and many of the Jewish residents left during the war. 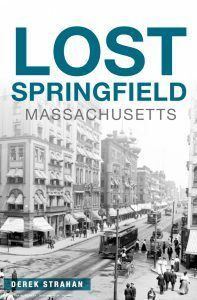 Rabbi Touro fled to Jamaica at the start of the British occupation in 1776, and Aaron Lopez also left around the same time, moving first to Portsmouth and then to Providence and to Massachusetts. He lost much of his fortune in the war, and he ultimately died in 1782 while on his way back to Newport, when his horse and carriage fell into a pond in Smithfield. With most of Newport’s Jewish population gone, the synagogue closed in 1791 and remained vacant for the next 60 years. However, it was not completely forgotten, and Isaac Touro’s sons, Abraham and Judah, both left large bequests to maintain the building. These funds enabled restoration projects in the 1820s and 1850s, as well as the granite and cast iron fence, which was built around the property in 1842. Beginning in the 1850s, the synagogue was used intermittently, as Newport started to become a popular summer resort community. In 1883, around the time that the first photo was taken, the synagogue was finally reopened on a permanent basis, nearly a century after the original congregation had left Newport. Nearly 135 years later, this scene has not undergone any significant changes. 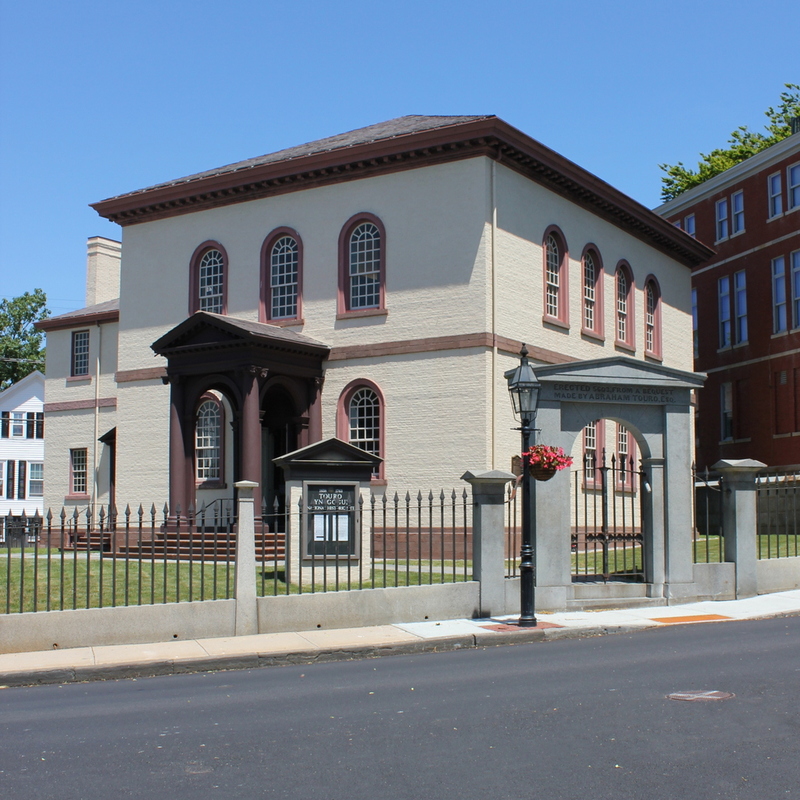 The building is still an active synagogue, and it stands as a reminder of Newport’s former preeminence as a seaport and its tradition for religious tolerance. Architecturally, it is still well-preserved, and stands as one of the few surviving works of one of the country’s most important early architects. The building was designated as a National Historic Site in 1946, and in 1968 it became part of the Newport Historic District, a National Historic Landmark district. Christ Church on Garden Street in Cambridge, on October 25, 1929. Image courtesy of the Boston Public Library, Leon Abdalian Collection. This church, which is also visible in the previous post, is the oldest existing church building in Cambridge. It was completed in 1761 and designed by Peter Harrison, who was the first formally trained architect to work in the future United States. It is one of only a few existing buildings that he definitely designed, along with King’s Chapel in Boston and several others in Newport, Rhode Island. 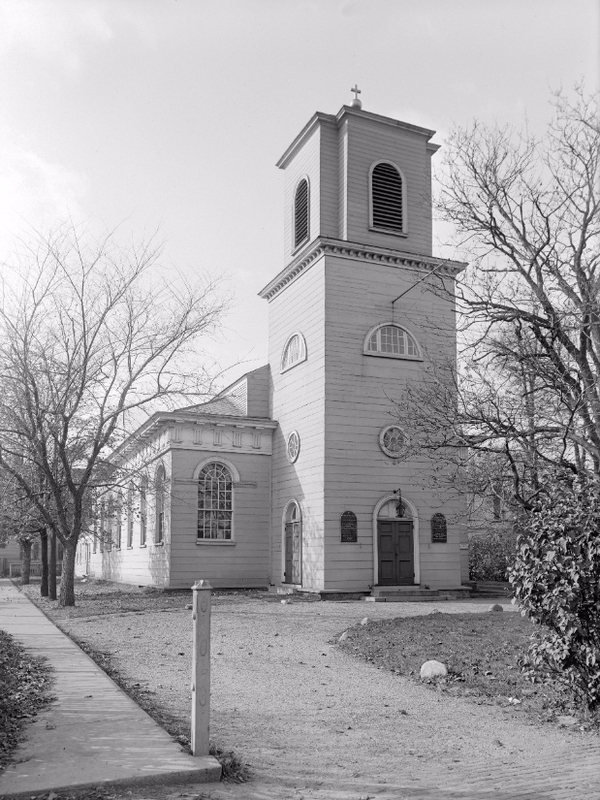 Like King’s Chapel, and unlike most colonial New England churches, Christ Church was Anglican, and was intended to serve the town’s small but wealthy Anglican population along with students at nearby Harvard. Early in the American Revolution, Cambridge served as George Washington’s headquarters during the Siege of Boston. Many of the Anglicans here were Loyalists who fled the city, and the church closed for several years. 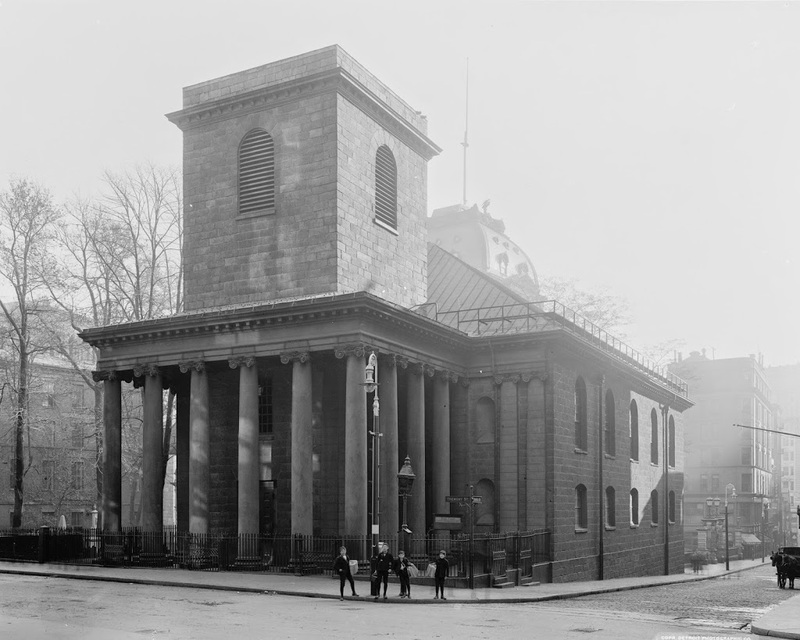 However, George and Martha Washington, who were Anglicans themselves, did attend a service here in 1775. The building reopened in 1790, and along with the Washingtons, the church has seen a number of other distinguished visitors. 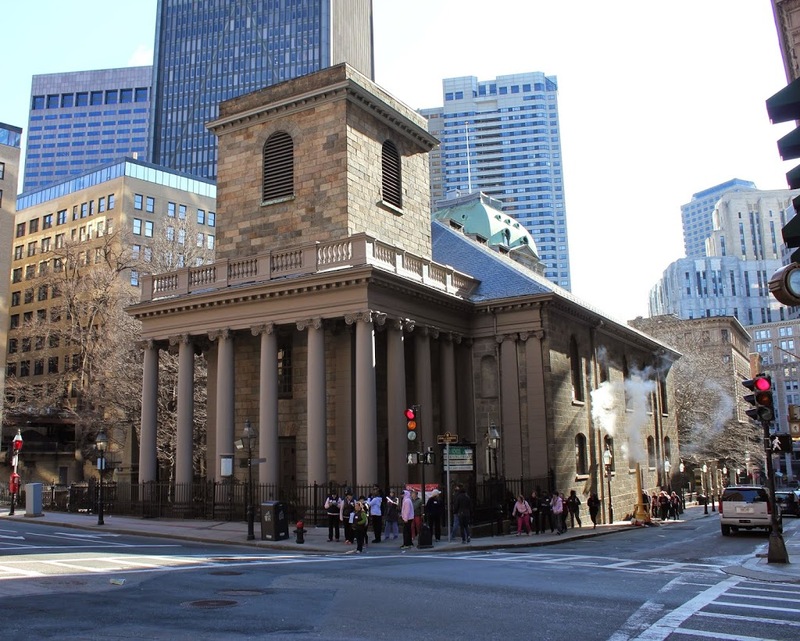 In 1879, Harvard student Theodore Roosevelt taught Sunday School here until a new pastor asked him to stop, because he was Dutch Reformed rather than Episcopalian. Nearly a century later, the church was more accommodating to Martin Luther King, Jr., who held a press conference here after Harvard refused to allow him to use one of their buildings. 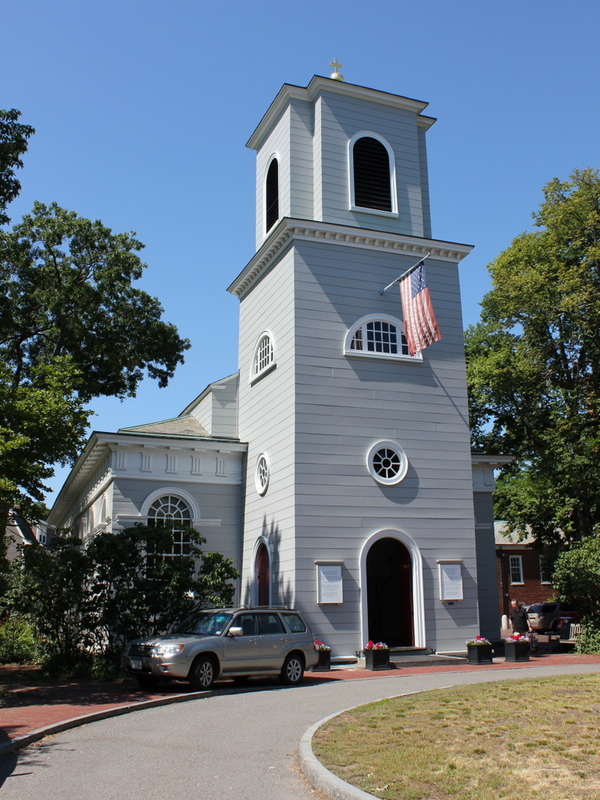 Aside from an 1857 expansion to accommodate its growing congregation, the church has remained true to Harrison’s original design, and over 250 years later it is still in use as an Episcopalian church. Because of its historical and architectural significance, it has been designated as a National Historic Landmark, which is the highest level of recognition on the National Register of Historic Places. 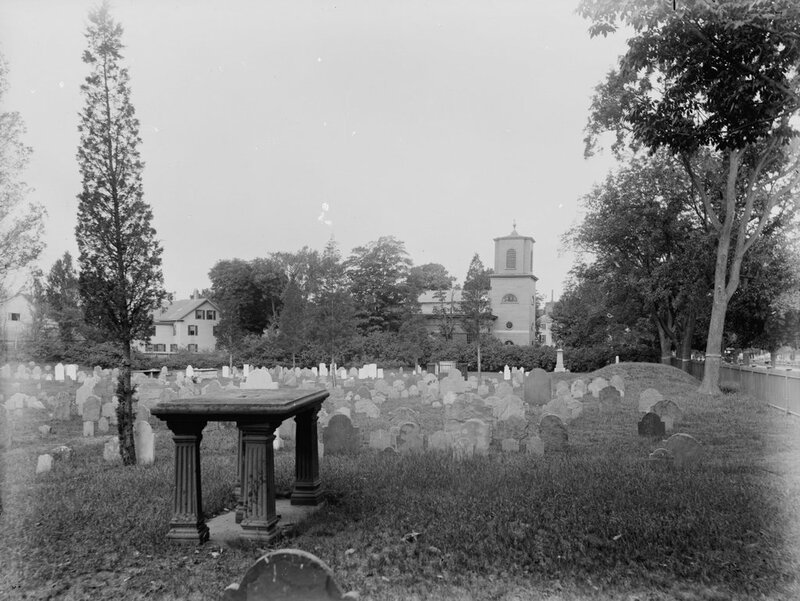 The Old Burying Ground in Cambridge, across from Harvard Yard, around 1899. Image courtesy of the Library of Congress, Detroit Publishing Company Collection. Cambridge was first settled in 1631, just a year after Boston, at a location a little further up the Charles River from Boston. 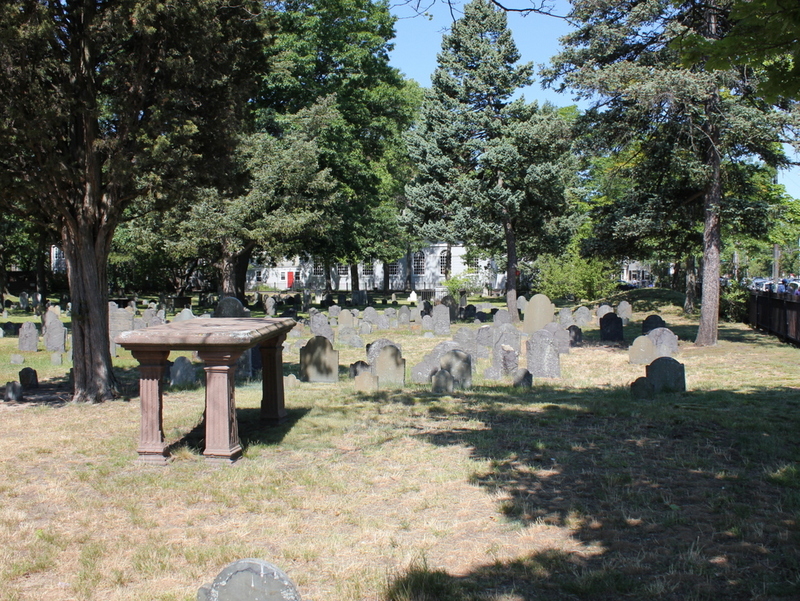 Originally given the creative name of Newe Towne, the settlement centered around the Harvard Square area, and this was the town’s only cemetery for nearly 200 years. The first burials here date back to around 1635, but headstones were not common at the time, so the oldest one still standing is dated 1653. Most of the headstones here are from the late 17th and 18th centuries, with very few after the early 19th century. Because it was the town’s only cemetery, the burials here represent people from all classes and walks of life. Some of the prominent citizens have more elaborate monuments, such as the table stone in the foreground, which marks the grave of Colonel John Vassall, who died in 1747. Today, the historic gravestone remains essentially unchanged since the first photo was taken some 117 years ago. In the background is Christ Church, one of two churches that borders the cemetery on either end. It was built in 1760, and although partially hidden by trees in the 2016 scene, it is still standing as one of the few surviving works of prominent colonial architect Peter Harrison. 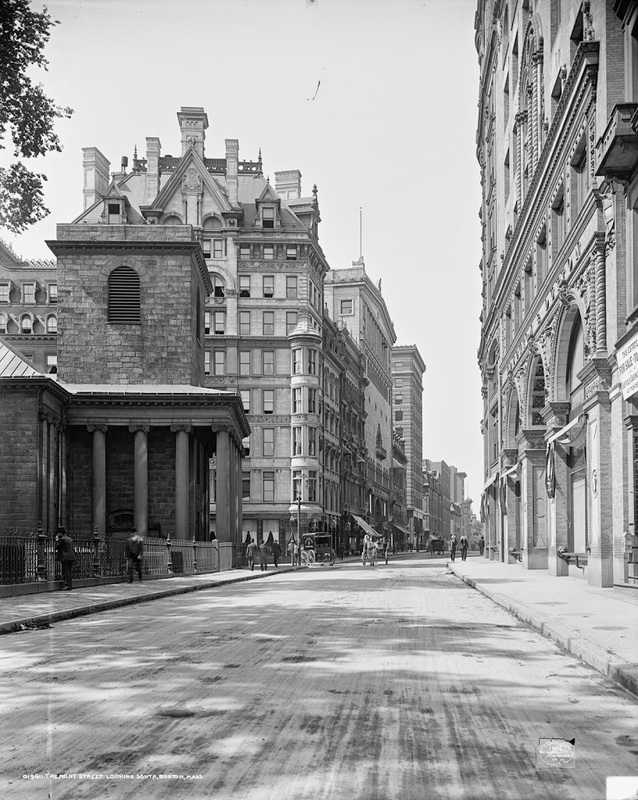 Looking south on Tremont Street in Boston, toward School Street, around 1906. Image courtesy of the Library of Congress, Detroit Publishing Company Collection. These photos were taken from right across the street from the ones in this post, although the “then” photo here was taken nearly 50 years after the one in the other post. Aside from King’s Chapel, which predates the first photo by about 150 years, a few other buildings survive from the 1906 scene. 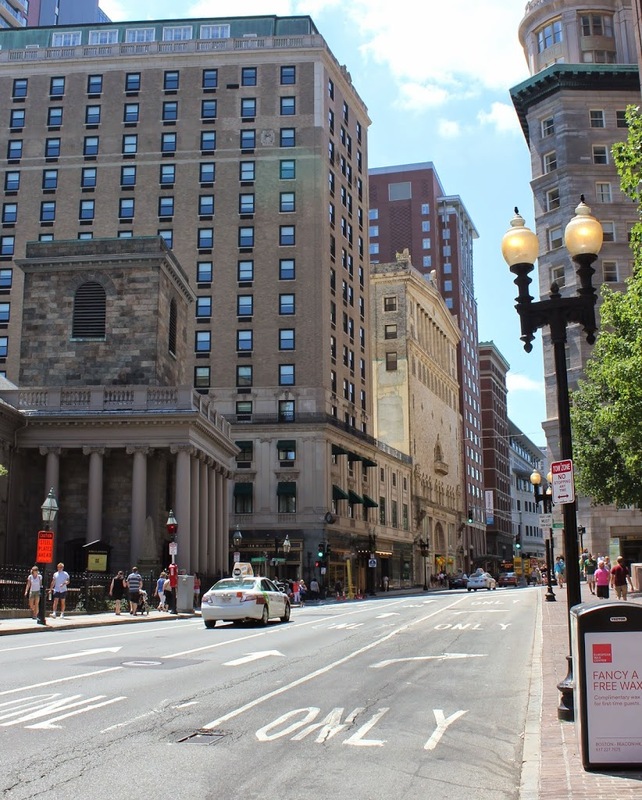 The most obvious one is the Tremont Temple, the third building on the left after King’s Chapel. It was built in 1896 and continues to serve as a Baptist church.